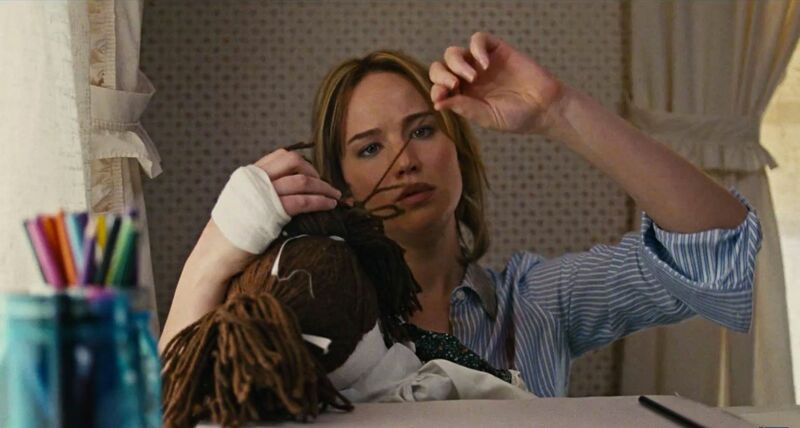 Despite early missteps, once JOY gets going you don’t want it to end. Jennifer Lawrence wins you over with an incredible underdog hero who overcomes countless obstacles to follow her dreams and provide for her family. This is the inspiring true story of an inventor with balls of steel. David O. Russell is always a bold storyteller, so it’s no surprise he breaks conventions with JOY. While the flashbacks, dream sequences, and other surreal elements (the soap opera) are mostly out of place and don’t work so well, the ultimate payoff at a cemetery succeeds rather well – thus requiring some setup. That said, the earlier sequences are too jarring and could have been embellished better, perhaps with more restraint. Lawrence is totally captivating in the lead role, arcing from the irony of the movie’s title, to championing the true meaning of JOY. This hard-working single mom uses every advantage she has. Russell uses subtle hints to convey Joy’s photographic memory and stead-fast determination without ever being too on-the-nose. By the emotional finale, we are really rooting for Joy to succeed. Diagnosed as a “genius unnoticed” and an “under-achiever” only spurs her on. Joy stays true to herself, even under pressure. The rest of the cast supports Lawrence rather well. Cooper’s character plays an important role in the business side of Joy’s life. He runs a popular Home Shopping Network where our “house-wife” pitches her invention. What could have been a sleazy character for Cooper, is actually quite layered by the end of his story, and memorable despite limited screen-time. Family is a big part of JOY. A lot of the laughs come from the estranged relationships in her life. Her household is buzzing with so much activity, she never gets a moment to herself. Her divorced parents live under the same roof as her children and her divorced husband. Robert De Niro (as Joy’s father) has a complicated character who is conversely supportive and constrictive. A clever narration from Joy’s grandmother satisfies on an emotional level, especially by the end. This very inspiring tale reminds us that good people can finish on top, even in a corrupt business world… it’s just a tremendous challenge. As the “world destroys opportunities”, Joy fights against it to become a legend in her industry. Inspired by her own Rosebud (handmade paper inventions from childhood), JOY is like ERIN BROKOVICH meets CITIZEN KANE. While strong performances will be the talk of the town, the way you feel when the story ends is what really matters. Powerful themes emphasize that dreams can come true, making this a great film to watch during the holidays. With an acidic hero who can spit venom when needed, JOY is sure to avoid being cheesy while inspiring us with a very moving true story. Posted in movie review, moviesTagged best of, bradley cooper, david o russell, drama, home shopping, inspirational, inventor, jennifer Lawrence, joy, movie, movie review, oscars, QVC, review, robert de niro, true storyBookmark the permalink. Fair enough eh. I’m like the only one 😉 The story was thin, just an underdog getting the win, but the characters and emotions were strong. I really enjoyed this one too. Lawrence at first seemed too ‘pretty’ an actress and perhaps too young to portray the real Joy Mangano, but she really made it work. She’s an incredible talent. And then when I looked up the actual person, she’s pretty darn attractive herself! I liked how this was a much smaller David O. Russell movie. It’s crazy how quietly it snuck into theaters, unlike his last one which was just so obnoxiously self-promoting it’s kind of no surprise it ended up disappointing me. I know eh… I’m like the only one to like this movie heheh… it depends what you want from the movie. If you can look past some early weird scenes, and get behind this underdog, you should get really inspired and feel happy by the end… i’m a sucker for a feel good movie sometimes, and willingly let the ending affect the overall experience. I still factor in the earlier surreal elements and admire the aim / motive of those sequences. Thanks for chiming in, Kim. I hated Serena too. I actually turned it off half way through, it just went nowhere. And I rarely do -that-. 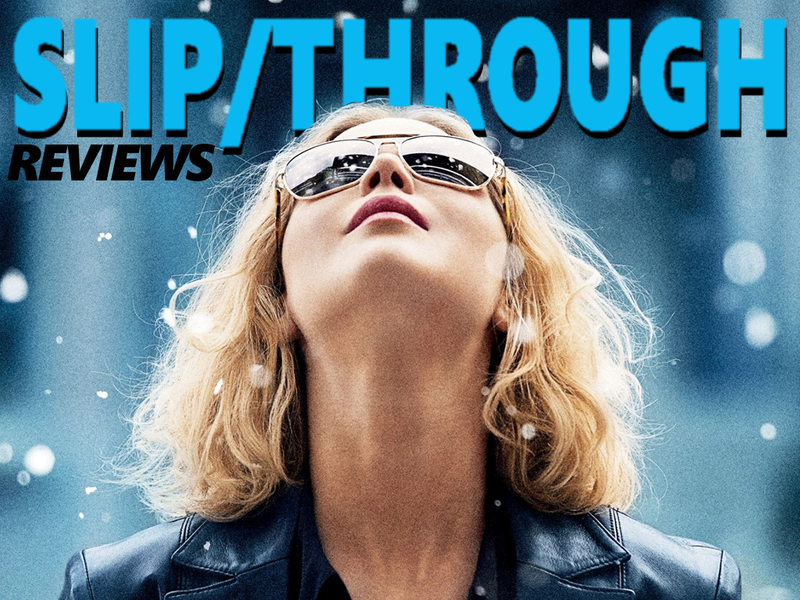 Joy isn’t as light as Silver Lining (which was dark too right), but it’s so inspirational. Definitely check it out on Netflix. I checked it out based on the pedigree only. The trailer didn’t really speak to me. Let’s say I’m glad I got past that. I was worried during the 1st act too, but it got way better, to the point I didn’t want it to end. Hahaha good one, Courtney. I hear ya. It took a while to shift into gear for me. But once that engine was revving I totally inhaled the fumes. I was feeling everything Joy was. I’m definitely in the minority here. But I was really inspired and really rooted for Joy. Thanks for commenting. And I agree this isn’t the best Russell, Lawrence, Cooper collaboration. Silver Lining and Hustle are even better! I was going to skip this film but it actually sounds pretty decent. Good review! Right on! I’ve been hearing some mixed reactions, but I really enjoyed how the movie left me feeling. Plus, you get great performances and bold direction.